Do Customers Only Buy On Price? Talking to and advising photographers around the world in my role as a photography business coach, one of the objections I hear from photographers when I talk about putting up their prices is….. This is perhaps true to a small degree, as some of your clients will buy on price, but certainly not the majority of clients that you want . If people really did buy on price as some photographers starting out in the industry believe, I guess we would all be driving around in the cheapest car, wearing the cheapest clothes, drinking the cheapest wine, and everyone would be flying economy. We would take our families on the cheapest holidays, never go to a restaurant, as we would cook all of our meals, from the cheapest ingredients. I read an article just the other day about the world’s most expensive cars. Cars like the Hennessey Venom GT Spyder WRE ($1.3 million), Lamborghini Centenario ($1.8 million), and Aston Martin Vulcan ($2.3 million). I guess these car manufacturers wouldn’t be wasting their money and time if no one bought them. It makes sense that most people don’t buy on price, even though we sometimes like to think we do because it’s the logical thing. The fact is, the majority of our buying decisions are based on emotions. Our decisions are emotions based, we then use logic to justify our purchasing decisions. It is the logic that stops us feeling guilty for spending a large amount of money on a new pair of shoes, or may be an item of clothing. “OK Bernie…I understand that most people don’t buy based on price. But if you think about all the worse clients you’ve ever had… I’m talking about the slow payers, the no payers and the complainers, you don’t really want them as customers anyway. I would guess that they all have one thing in common. Your conversations with them are ALL about price, and they were the type of customers who were always demanding more from you. You must understand that those who do buy on price are always the customers who complain the most. They are usually on a payment plan and default on payments. What I find as a photography business coach, is that the problem is, especially when a photographer starts their business or they are short of money, they don’t like to turn any business away. The reality is that the subject of “pricing” is not just about how much you charge, but more about how you have positioned your photography business in the marketplace. Position and price your photography to attract the customers that you want. No one wants the super totally price conscious hard to get on with customer. Wanted to let you know that my interview on Photobizx is now LIVE. In the interview I share a ton of good stuff on going from part time to full time in your photography business. Check out the page and feel free to get involved with any comments asking any questions that come up. Posted in Uncategorized | Comments Off on Do Customers Only Buy On Price? 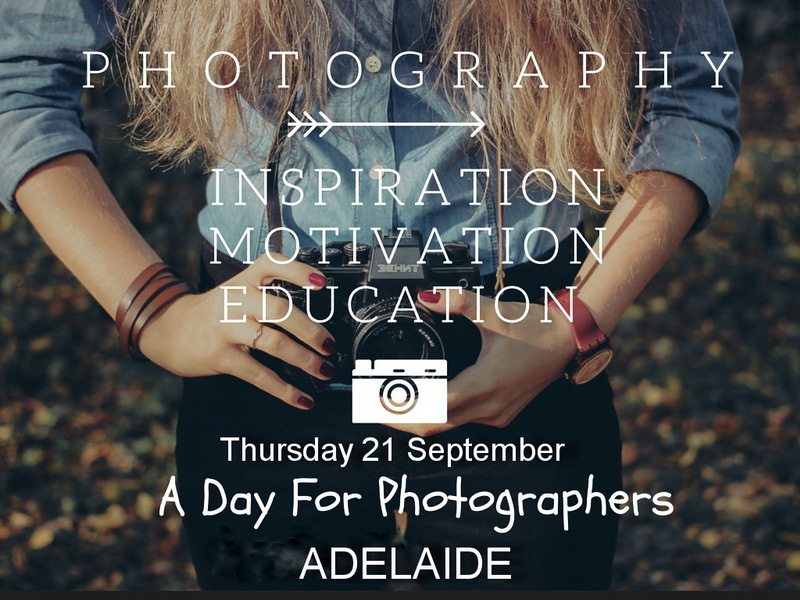 After the fantastic success of the “A Day For Photographers” in Sydney, Melbourne, Perth, and Cairns, we will be travelling to Adelaide, to help as many photographers as we can to grow their photography business. The whole day will have a focus on what makes a photography business successful, and will include going through the following critical points. Sorting out Your Website, Social Media, Business Principles, creating a Price List, Photographing for Sales, Creating more Business, The Retail No Pressure Portrait Selling System and more….it will be a full day! Creating Your Price List To Maximise Sales. Marketing for a Constant Flow of Customers. Do You Lie Awake At Night Thinking How You Can Get More Customers? Very few photographers implement Marketing strategies mainly because they don’t understand Marketing or quite simply they don’t know what to do. Facebook and Instagram are great Marketing tools for those who are utilising their power. Join us and let us show you exactly how you can bring in loads more customers. After having a successful wedding/portrait studio for over 40 years, Bernie transitioned into being a Photography Business Coach. He is now the “go to” coach for those studios looking at taking their business to the next level. His studio experience, expertise in Facebook Marketing, and down to earth approach to business, has enabled him to help and guide photographers globally in growing their business processes, and generating thousands of dollars more income. Bernie is widely recognised as Australia’s Leading Photography Business Coach, and his presentation will be on the 5 most important things that a photographer should focus on to build a successful photography business. Murielle has run a successful photography business from home for over 17 years, and has achieved great success with her sales in the areas of family portrait and glamour photography.Her portrait sales this year have been “mind blowing” and she had a record turnover for her business, over the past 12 months.She will outline how she uses Social Media to create new customers and continually strengthen her already strong brand. BEING THE BEST SOHO YOU CAN BEStarting his home based photography business 25 years ago, Mark specialised in photographing weddings.Over the years the business has evolved to become one of Adelaides most successful studios, now specialising in photographing dogs.Mark will talk on how a photography business needs to specialise to have longevity and constant financial success when running a photography business from home. If you are not making the money you want in your photography business…..it’s not your fault. You just don’t know how to do it. Right? Did you learn how to tie your shoe laces, walk, talk, swim, photograph, learn Photoshop, play the piano etc. etc. Someone taught you how to do these things or you taught yourself. If you are self-taught then I guess it took you much longer to learn. So if your photography business isn’t progressing at the speed that you had hoped, it’s not your fault. If you are working from home, there is always the constant temptation to work long hours. You shouldn’t feel guilty if you check and answer emails in the evening when the kids are in bed. If you are passionate about your photography and are constantly working on growing your business, you should work hard. Only if working too much intrudes on and effects your family life negatively, should you re-evaluate your work ethic. The opposite of working too much, is procrastinating on work related tasks. 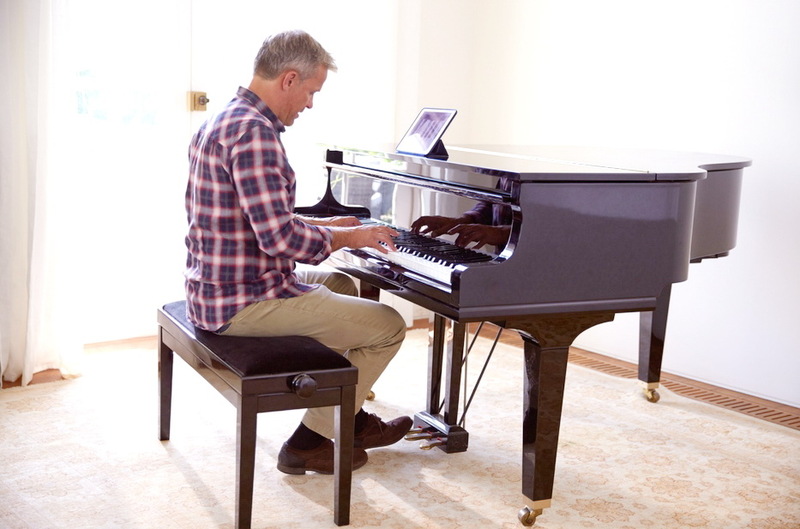 There is an unlimited amount of things that you could do around the home instead of doing work related things. Failure to keep up with your work-load could amplify and create a massive problem in a very short space of time. Another potential problem is spending too much time on tasks which you enjoy and may not be generating income and neglecting the tasks you don’t. Whether you have a shop front or work from home, there are in fact literally hundreds of tasks that you will have to learn if you want your photography business to survive. You need a photography business Coach. Excerpt from Walt Hampton, J.D. “I love the high summits. I can see forever. But most of my time isn’t spent on the summits. It’s spent in the valleys. setting. I had mapped out my most important tasks. would change up the game, the ones that would truly make a difference. times more money. And most of the audience wouldn’t follow it. just where we are: no more, no less. Resistance may be hard-wired. How scary and depressing is that. But thankfully we’re not lizards. We still get to choose. creators, dreamers. People of Might. into the world. Come hell or high water. Only the work that ships matters. Do the work. Ship the work. Do some more. Resistance will always be there. But we can choose to climb above it. Photography Business Coach Bernie Griffiths of berniegriffiths.com is responsible for the episode of PhotoBizX that has produced more leads, sales and discussion than any other – The Facebook Ad Challenge episode. I contacted Bernie for a follow up interview to ask him to share what listeners felt might have been the missing link when approaching the FB Ad challenge – how to sort the spenders from the non-spenders when offering free portrait sessions. If you’re new here and want the full story of the Facebook Ad Challenge, how to structure your ad, what copy you’ll need to maximise results, which images to include and how to generate a lot of leads, shoots and sales. Go and trial the Photobizx Premium Membership for $1 and check out episodes 136 and 138 in the Premium Area. Then jump into the secret Facebook Group to see a lot of examples and discussion around these ads which have been used to book portraits, engaged couples and weddings for a lot of members. Which is better: Adverts or Boosted Posts? 4 Facts That I Know, Based On My Experience, About Wedding/Portrait Photography. These are good times for photographers who are business and marketing educated. Many photographers today have a great photography business. The consumer market demands good quality photography . There is a strong demand for the right photography products. When you learn how to attract the right clients, and once you discover how to sell to clients, and once you get busy and put into practice running a “real” business, and start to “test and measure” everything that you do, you will be well rewarded. Your photography will be in demand if you market in the right way, and you will have a good income that can last a lifetime. Lots of photographers are achieving great success, whether it be in the big cities or in country towns. One of my clients in an outer city suburb has over 40 photography sessions booked in her diary. Another client photographs over 400 portraits a year. Four of my clients made monthly gross turnover records, while others have achieved amazing high sales. The wedding photographer who was struggling getting couples to book, then on my advice simplified his wedding price list and booked the next two couples that he interviewed. Believe me, these photographers didn’t believe that they could achieve such amazing results a few months ago either. These are the reasons I love being a photography business coach. So what about you? Maybe as you read this you are wondering why you aren’t having as much success. Maybe you have tried evrything and you still are not getting the financial return that you would like. You may also may have had your photography business for many years and are feeling tired and unmotivated. It is all getting too hard. I would like to offer a little advice. I have a sticker on my laptop. So although some of my photography clients are having some success now, it hasn’t always been that way. They have had their “low” moments in their business, and will probably have lots more in the future. Everyone photography business owner does! Even the most successful and accomplished photographer you know has days when they feel like they are banging their head against a brick wall. Success in your photography business is partly to do with luck, but a lot of it is about having a plan, and consistently working towards what you’re trying to achieve. Trust me. No one has a perfect photography business. Your business, like life itself is a jouney, not a destination. The Original Bernie’s Facebook Challenge. Sweeping the world over the last 12 Months has been an amazing Facebook post that has revolutionised Facebook advertising for wedding/portrait photographers. Globally known as “Bernie’s Facebook Challenge” it started on three different podcast platforms. Hundreds of photographers around the world have implemented the step by step strategies that I mentioned on the Podcasts and as a result they have photographed heaps of photography portrait and engagement sessions, and in the process have made many dollars in sales, not only in portrait sales but also in wedding bookings. This is just one of the many marketing strategies that I use when I work with in my photography business coaching. “Last week I interviewed Bernie Griffiths, a photography coach who helps photographers attract clients and make sales. Anyway, he put forward a challenge to the listeners and me. The challenge: construct a FB post, boost it and get more bookings than ever before. I’ve done this a heap of times already but have never seen the success I did this week! I ran my ad one week ago today and paid $30 to boost the post. My results so far have blown me away!